In January 2018 our family cat Coco drowned in the reservoir on the grounds of North Foreland Golf Course, Broadstairs. We were then put at risk ourselves by having to retrieve her bloated body. It took 3 people to get her out and we noted there were also two foxes in the water who suffered the same, terrible death. 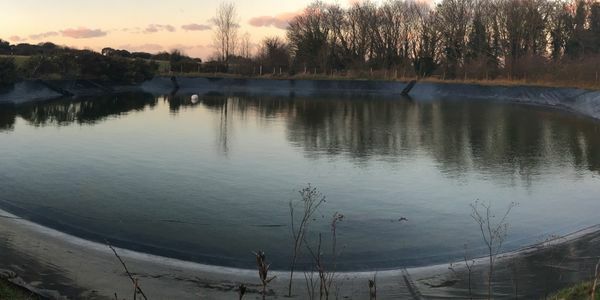 We contacted the general manager immediately, and asked several times if something could be done to improve the safety of the reservoir as there is simply no way for any animal or even human to get out if you fell in. The sides are too steep, there is nothing to grip and the water level around 12 feet lower than the top so its like a giant well. Despite numerous requests, nothing had been done to improve the 50 metre x 50 metre expanse of water. Our concerns were ignored and dismissed. In January 2019 we lost our beautiful Bengal cat Simba to the same awful fate. Our instinct was to try and get her out ourselves as soon as we saw her but we knew we would have been unable to escape. Kindly a neighbour and a workman risked their own safety to help recover her body and bury her for us. Due to the lack of communication regarding our previous concerns, we felt we had no option but to voice our concerns publicly about the lack of action taken by North Foreland Golf Course. Suggestions to improve chances of escaping include planting climbing plants, fitting mesh and laying rocks in and around the reservoir. The club has since placed a few more tyres in the reservoir, however this really is inadequate for the size of open water and your chances of survival are still therefore, minimal. As you can imagine this has caused great upset and we are now concerned for our other rescue cats every time they go out. Our beautiful Bengal had only been going outside for 5 days before this tragedy. We would like to see the reservoir completely wildlife/pet friendly in particular as the golf club has rather ironically won awards from the Kent wildlife trust. We are hoping that North Foreland Golf Club may finally take some notice rather than ignore our pleas as they had previously done before another tragedy happens to another pet, wild animal or worse a human. Please show your support by signing this petition which will be presented to the golf club to show the number of people that are concerned by their lack of compassion for our wildlife and family pets and hopefully will prompt them into making the reservoir a safe environment for all. PT 1 - Morning everyone. I know a lot of you have been following my story regarding my cats drowning in the reservoir at North Foreland Golf Club so I just wanted to give you an update. I had a meeting with the head groundsman Simon & Golf pro Darren this morning and we have discussed ways to make the reservoir easier to get out from should any animal fall in. As animal lovers themselves they were sympathetic and wanted to resolve the problem. I am so grateful for all of the support you have shown us regarding this. Please can you share the petition if you are able. Hopefully we can stop further deaths of family pets and wildlife together.